On May 23, 2014, in a 2-1 decision, the U.S. Court of Appeals for the District of Columbia Circuit (D.C. Circuit) held that the Federal Energy Regulatory Commission (FERC) exceeded its statutory authority in Order No. 745, a rule requiring that cost-effective demand response resources participating in organized energy markets be paid the full locational marginal price (LMP). Electric Power Supply Association v. FERC, WL______ (D.C. Cir., May 23, 2014). Noting that FERC’s jurisdiction under the Federal Power Act (FPA) is limited to regulation of “the sale of electric energy at wholesale in interstate commerce,” the D.C. Circuit found that Order No. 745 was a “direct regulation of the retail market,” and thus outside of FERC’s statutory authority under the FPA. In addition to ruling on this jurisdictional question, the D.C. Circuit held in the alternative that Order No. 745’s decision to require payment of full LMP was arbitrary and capricious under the Administrative Procedure Act. The Court thus vacated Order No. 745 in its entirety. If the D.C. Circuit’s primary holding is not reversed on rehearing or on certiorari to the Supreme Court, the effect will be to preclude FERC from regulating the price of demand response. 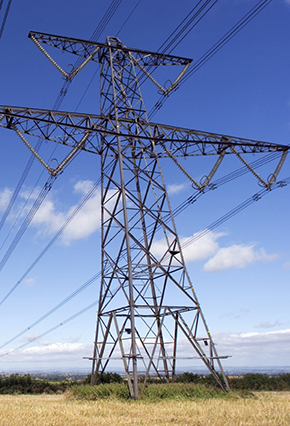 This may lead regional transmission operators (RTOs) and independent system operators (ISOs) to change the provisions in their tariffs regarding the participation of demand response resources in the energy markets. Order No. 745, issued in March 2011, established a framework for compensating demand response resources (DR) in energy markets operated by ISOs and RTOs. Order No. 745, Demand Response Compensation in Organized Wholesale Energy Markets, 134 FERC ¶ 61,187 (2011), available at http://www.ferc.gov/whats-new/comm-meet/2011/121511/E-4.pdf, aff’d on reh’g Order No. 745-A, 137 FERC ¶ 61,215 (2011). Demand response resources are essentially retail electric consumers––often aggregated by third parties––that reduce their consumption of grid-provided electricity at specific times when called by the RTOs/ISOs in exchange for incentive payments. In particular, Order No. 745 required RTOs and ISOs to pay the full LMP for cost-effective DR resources. FERC’s rationale in Order No. 745 was that calling for DR would reduce demand, thus reducing the amount of generation needed in an hour and thereby reducing the LMP, as DR would replace more expensive generation in the bid stack. The theory of Order 745 was that paying DR the resulting LMP (the same price paid to generation) would enhance the efficiency of the organized energy markets. Commissioner Moeller dissented from Order No. 745, arguing that standardized compensation for demand response would undermine markets that already existed prior to Order No. 745; he also argued the rule would over-compensate demand response resources relative to traditional generation resources because demand response resources would receive both the LMP payment and the savings of avoiding the purchase. Commissioner Moeller reasoned that the result would over-incentivize demand response resources and thus be inefficient. In a ruling by Judge Brown, and joined by Senior Judge Silberman, the D.C. Circuit observed that “[t]he FPA ‘split[s] [jurisdiction over the sale and delivery of electricity] between the federal government and the states on the basis of the type of service provided and the nature of the energy sale.’” Slip op. at 3, citing Niagara Mohawk Power Corp. v. FERC, 452 F.3d 822, 824 (D.C. Cir. 2006). Section 201(b)(1) of the FPA empowers FERC to regulate wholesale sales of electric energy in interstate commerce, and Sections 205 and 206 of the FPA empower FERC to ensure that all rules and regulations affecting wholesale rates are just and reasonable. 16 U.S.C. §§ 824d(a) & 824e(a). Regulation of retail sales of electricity remains with the states. The D.C. Circuit held that Order No. 745 could not be justified under any of FERC’s grants of authority under the FPA. Regarding Section 201, the D.C. Circuit found “that demand response is not a wholesale sale of electricity; in fact it is not a sale at all,”and thus FERC’s jurisdiction over “wholesale sales” could not authorize Order No. 745. The Court’s majority rejected FERC’s argument (and the dissent’s rationale) that FERC had jurisdiction pursuant to Sections 205 and 206 because demand response resources affect wholesale rates. According to the Court, while DR surely impacts wholesale electricity rates, this does not provide a sufficient basis for jurisdiction. Under such a theory, FERC could claim jurisdiction over any number of industries that affect wholesale electricity rates, including the steel, fuel and labor markets. Slip op. at 8. Instead, the D.C. Circuit held that FERC’s jurisdiction over demand response should be measured against the statutory scheme embedded in the FPA. This statutory scheme, according to the Court, commits retail electricity markets to state, not FERC, jurisdiction––and demand response is a function of the retail market. Id. at 11 (demand response “involves retail customers, their decision whether to purchase at retail, and the levels of retail electricity consumption”) (emphasis in original). Thus, the D.C. Circuit held that FERC lacked authority to regulate the price of demand response through Order No. 745. In the alternative, the D.C. Circuit held that even if FERC had authority to promulgate Order No. 745, the Order would still fail in that it was arbitrary and capricious under the Administrative Procedures Act. The court found that “FERC failed to properly consider––and engage––Commissioner Moeller’s reasonable (and persuasive arguments)” Id. at 14-15, and that “[t]he Commission cannot simply talk around the arguments raised before it; reasoned decisionmaking requires more. . . .” Id. at 15-16. Senior Judge Edwards’ lengthy dissent argued that regulating demand response in wholesale markets fell within a permissible reading of FERC’s statutory authority (satisfying the Chevron test for construing statutes), and that FERC had reasonably and adequately explained its decision-making – including the level of compensation for demand response resources – in Order No. 745. Judge Edwards also noted that all five FERC Commissioners had agreed that demand response could properly be part of in wholesale markets, and that Commissioner Moeller’s dissent had focused solely on problems with the proposed payment methodology. The ultimate effect of the D.C. Circuit’s majority decision on demand response in organized energy markets will not be known for some time. The Opinion will not take effect until the mandate issues. If FERC timely seeks panel rehearing, rehearing en banc, or both, the mandate will not issue until that process is complete. If a petition for certiorari is filed with the U.S. Supreme Court, the issuance of the mandate may be further delayed. If the majority’s holdings are not reversed, the decision will be remanded to FERC for further action. It is unclear what action FERC may take on remand. The Opinion held that FERC may not directly regulate the rate at which demand response is purchased in energy markets. The vacation of Order 745 in and of itself would appear not to prohibit RTOs and ISOs from continuing to pay for demand response in the energy markets if they so choose. It is thus not clear whether the FERC will require RTOs and ISOs to change their tariffs on remand or simply await any changes they may propose. Finally, Order No. 745 does not address the treatment of DR in capacity markets. However, on the same date that the D.C. Circuit issued its opinion, FirstEnergy immediately filed a complaint with FERC requesting that FERC require the removal of all of PJM’s tariff provisions regarding demand response in its capacity market. Those ISOs and RTOs with capacity markets (including PJM) have separate and detailed provisions for the eligibility and procurement of DR as a capacity product and, in general, there is no distinction made in the price paid for DR and other capacity resources. It is unclear to what extent the D.C. Circuit’s majority opinion affects the ability of demand response resources to participate in capacity markets. For assistance or additional information, please contact David Yaffe, Doug Smith, Andrew Art, Jeff Winmill, Gabe Tabak, or anyone within the firm’s electricity practice group. Described by Chambers USA as “the best energy boutique in the USA,” and with one of the largest electric practices in the country, Van Ness Feldman counsels, advises and trains a wide range of clients on generation and transmission matters. .